Join us for our second Annual Membership Dinner on Wednesday, May 1 (5-9pm) at the Carlton Recreation Center. You’re sure to enjoy a delicious catered buffet prepared by chef Michael Zambito of Zambistro’s Restaurant. This is a fun evening of raffles, prizes, drawings, and live & silent auctions. Our auctioneer for the evening is Orleans County Sheriff Randy Bower. 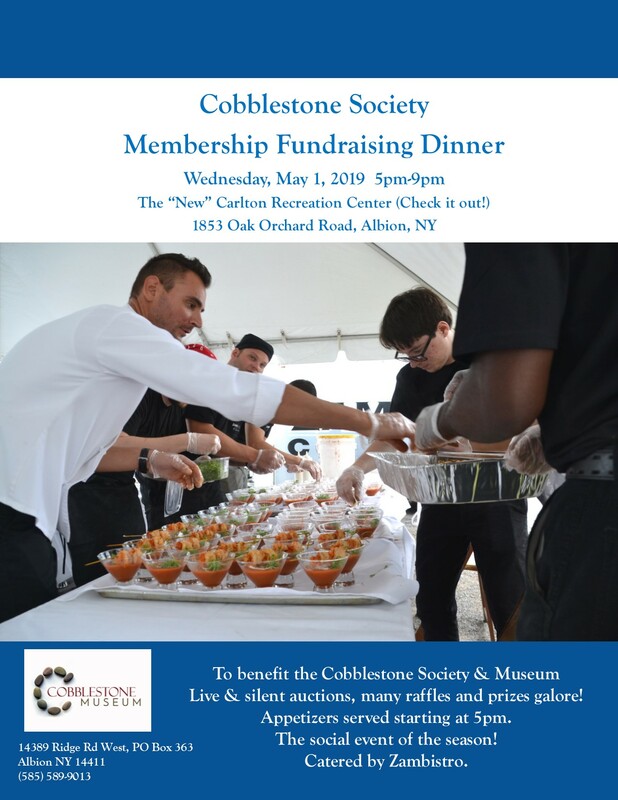 All Dinner tickets purchased here include one year Cobblestone Society Membership (Through 4/30/2020).